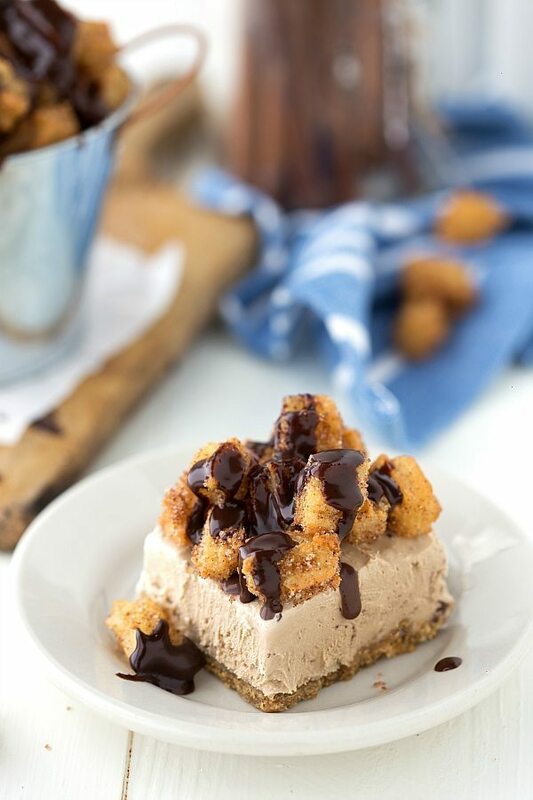 A cinnamon graham cracker crust with a layer of delicious churro ice cream and topped with miniature churros covered in an optional chocolate ganache. As I was reading over the list of ice cream flavors available, the one that caught my eye the quickest: “Churros Con Leche.” Churro ice cream? Am I dreaming?! I’d never even heard of such a thing! The minute I saw that ice cream flavor, I knew I wanted to do churro ice cream bars or sandwiches of some sort. The rest of the inspiration from these bars come from Cooking Classy. As a huge churro fan, I’d seen her cute miniature churros and had always wanted to try them. So why not cover some ice cream bars WITH said miniature churros? And let me tell you, this is a dessert you NEED to make before this summer is over. Ice cream and churros were meant to go together. Especially when the churros are tiny and bite-sized. The churros right out of the fryer on the ice cream makes one of the most unique and delicious combinations I’ve ever had. I will say, as excited as I was to smother these bars in a chocolate ganache, I actually preferred them without the ganache. I know, CRAZY right? I never thought I’d say I prefer something without chocolate, but it’s true. If you love churros dipped in chocolate you’ll probably like it, but both the husband and I preferred the pure cinnamon-sugar flavor to stand out. These may seem like a lot of work, but they are actually pretty easy. 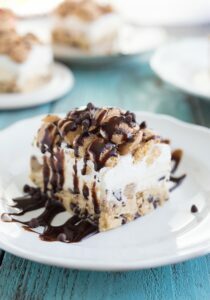 The graham cracker crust is a cinch to make and then the ice cream is just smoothed ice cream in a pan over that crust. 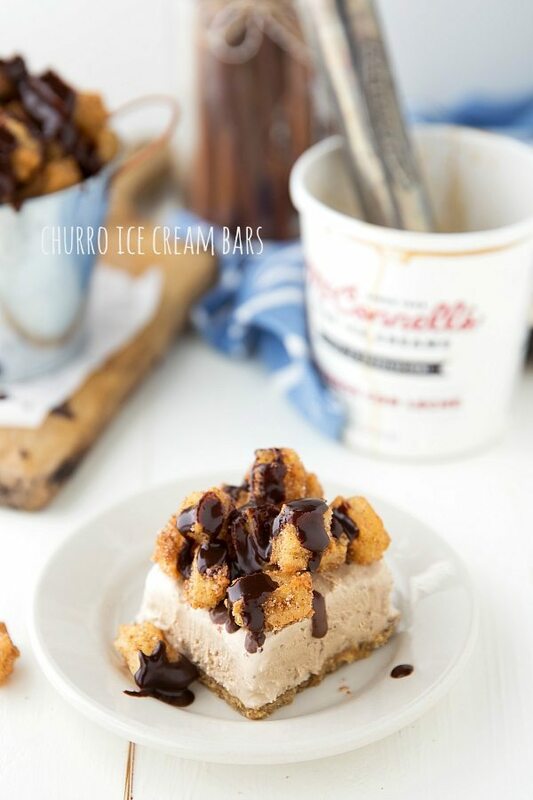 I used the Mcconnell’s Churros Con Leche and the Salted Caramel Chip ice cream in these bars. Both were honestly fantastic and good compliments of the crust + hot churros. Lots of different ice cream flavors will work well in these bars so don’t stress if you can’t find a churro ice cream. 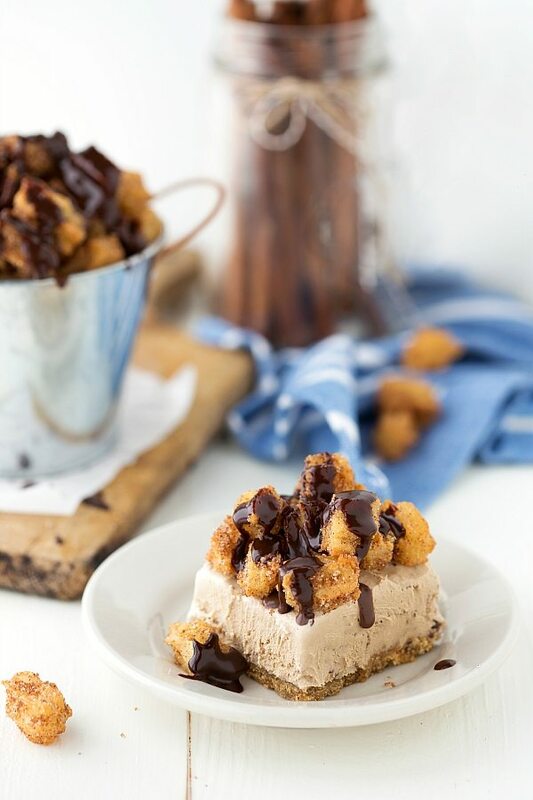 When you are ready to eat these ice cream bars, you deep fry the miniature churros, coat them in cinnamon-sugar, and put the hot bites right on top of that ice cream. Ganache if you want and then hurry and eat them before those hot churros melt the ice cream! 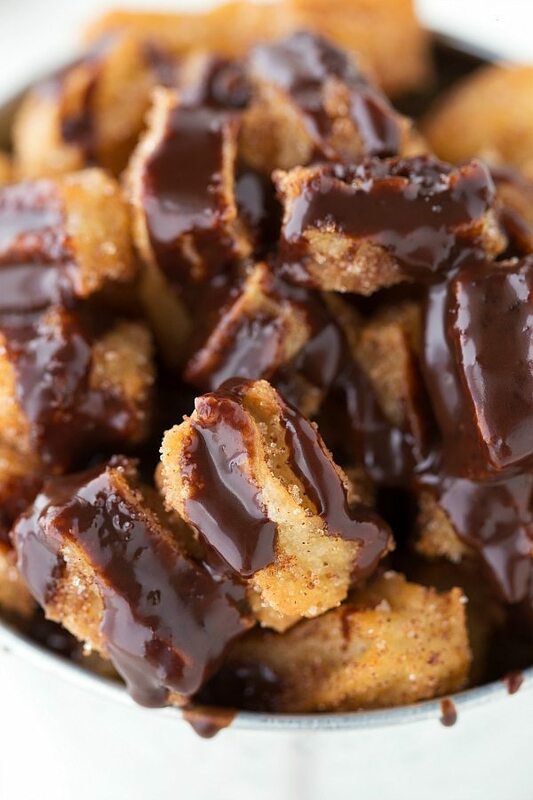 In a bowl, mix together the cinnamon graham cracker crumbs, white sugar, brown sugar, and melted butter until a thick "dough" forms. Press evenly in the bottom of the 8 x x pan. Spread the ice cream to desired thickness (I used 3 pints total, but you determine the thickness you want for the bars) in an even layer on top of the crust. The ice cream needs to be slightly soft to get it to spread evenly, but you don't want it too soft or it will get icy upon being re-frozen. Cover the ice cream bars tightly and freeze until very firm -- about 8 hours or overnight is best. When ready to eat the ice cream bars, make the churros! In a saucepan over medium-hot heat, combine the milk, water, salt, sugar, and butter. Mix until the butter is melted and bring the mixture to a boil. As soon as the mixture boils, remove from the heat and stir in the vanilla. Stir in the flour and, using a rubber spatula, continue to mix (and press out any lumps) until the dough is completely smooth. Transfer the mixture to a large piping bag fitted with an open star tip. Onto a sheet of parchment paper, pipe long strips of the dough. Allow to rest for 15-20 minutes. In the meantime, preheat a deep fryer (or heavy bottomed pot over medium heat) to 360 degrees F.
With sharp kitchen shears cut the long pieces of dough into small "bites." Place an even amount of miniature churros (too many and it will overcrowd and cause the oil temperature to decrease too much) in the deep fryer or pan . Remove the churro bites onto a plate lined with paper towels. If you have a deep fryer, you can just dump from the wire mesh and if you are using a pot, use a wire skimmer. In a small bowl, stir together the 2 tablespoons white sugar, 2 tablespoons brown sugar, and cinnamon. Place the hot churros in the mixture and coat evenly with the cinnamon sugar mixture. Top cut ice cream bars with the hot churros and enjoy immediately. If desired, pour a chocolate ganache over the hot churros on the ice cream bar. To make the chocolate ganache, microwave the heavy whipping cream in a microwave-safe bowl fro 45 seconds to a minute or until very hot. Pour in the dark chocolate chips and stir until smooth and creamy. If you aren't going to enjoy all of the bars at once, only make as many churros as you want for your bars. Save the dough in a ziploc bag in the fridge and make more churros when you want another bar! **Don't feel like the chocolate ganache is a MUST. I actually preferred the bars without them, but for those of you who love chocolate + churros you'll probably love the combo. Dulce de leche could also be substituted for the chocolate ganache. These bars look fantastic, Chelsea! I love the churro touch to these! Sounds so flavorful and like the perfect treat for summer! Oh my gosh these bars are too much.. in a good way! Love ice cream anything but I really love adding churro to the top. Pinning! These bars look incredible, Chelsea! Ice cream treats are my favorite 🙂 I love the cinnamon crust and churro topping! Oh Chelsea you put two of my favorite things together and I can’t be any happier. I use to devour churros every time we go to Mexico, they are the most perfect butter bites, and with ice cream – perfection, pinned! Such a great idea!! Those mini churros are the cutest! And chocolate ganache makes everything better! 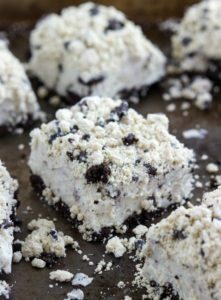 I think this might be one of my favorite recipes that you have ever posted – these ice cream bars look insane!!! I absolutely love churros, and was equally as excited when I saw the churros ice cream flavor! 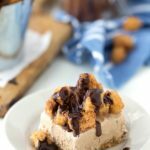 You have really created a churro lovers dream dessert! Wow! These bars look fantastic Chelsea! Love that they are easy to make too! Win-win! 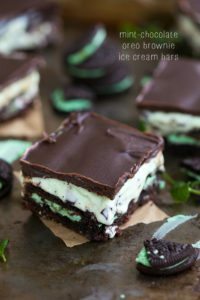 My jaw literally dropped when I saw these beautiful, incredible ice cream bars! They look amazing, Chelsea!! 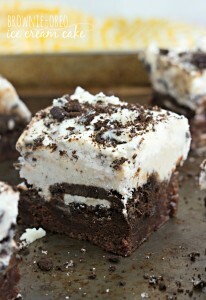 Chelsea, these look fan-freakin-tastic! I love churros, and ice cream, and bars …for that matter. Thank you for sharing! These are so creative- love the mini churros! Um, whoa. This is my new favorite thing! We were out this weekend at “Food Truck Alley” here, and there was a Churro truck I was desperate to try but it wasn’t there — now I’m thinking I need to just make my own! Churros have to be one my favourite guilty treats.. so the fact you turned the flavour into an ice cream bar is just delicious. These bars look amazing! I love the mini churros!! These sound amazing! I’m kind of all over anything cinnamon-sugar related. Guilty pleasure. YUM! I LOVE churros, like love love love. The only thing that can make them any more perfect is stacking them on an ice cream bar. Holy cow.